Having worked with numerous commercial and residential clients, we have been involved in the paving a countless number of roads and roadways around the state of Virginia. Our technology-led approach enables us to be exact and thorough in our work, ensuring road measurements and applications are correct throughout the entire length of road we are laying. We approach the job of paving roadways extremely seriously, understanding the position of responsibility we are in when we pave state and private roads. The quality of our workmanship and the surfaces it provides ensures the safety of those who use our roads, not to mention its longevity in use. As a long-running, successful enterprise, we have both the equipment and skill to carry out large jobs. Unlike other companies we are not limited by man-power or machine, meaning we can work on roads that stretch across the state. We can offer guidance and suggestions for potential clients, as well as a comprehensive range of different ways to go about laying your road. 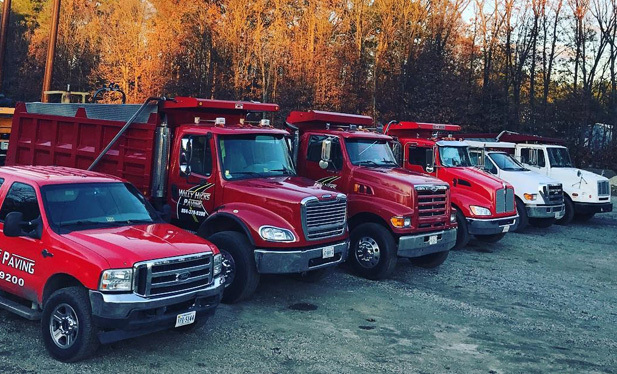 If you are looking for an elite paving company that provides only the highest quality, and economical services, call Willy Hicks Paving today.